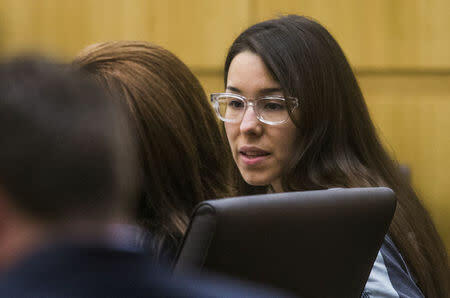 PHOENIX (Reuters) - Convicted killer Jodi Arias, who could face the death penalty for the murder of her ex-boyfriend at his Phoenix area home more than six years ago, won a three-week delay on Wednesday in the retrial of the penalty phase of the case. A state jury convicted Arias in May 2013 of killing Travis Alexander in a headline-grabbing case that was broadcast live on the Internet and attracted thousands of avid trial watchers nationwide. Alexander was found dead in the shower of his home in a suburb of Phoenix in June 2008. He had been stabbed multiple times, had his throat slashed and was shot in the face.